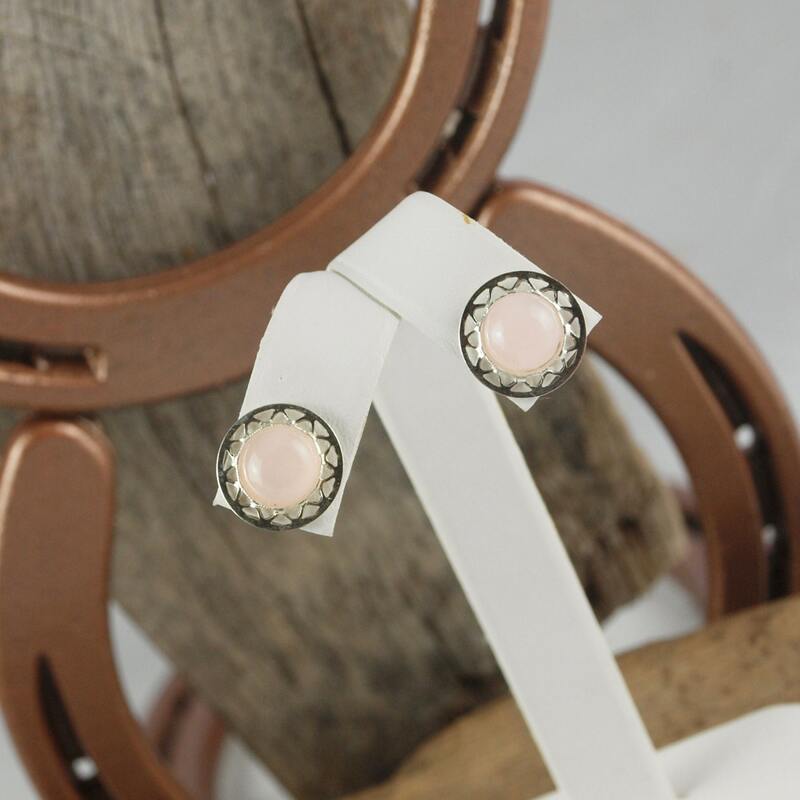 Silver Earrings - Rose Quartz Earrings - Sterling Silver - Statement Earrings: These stunning sterling silver post earrings feature two natural pink Rose Quartz stones. 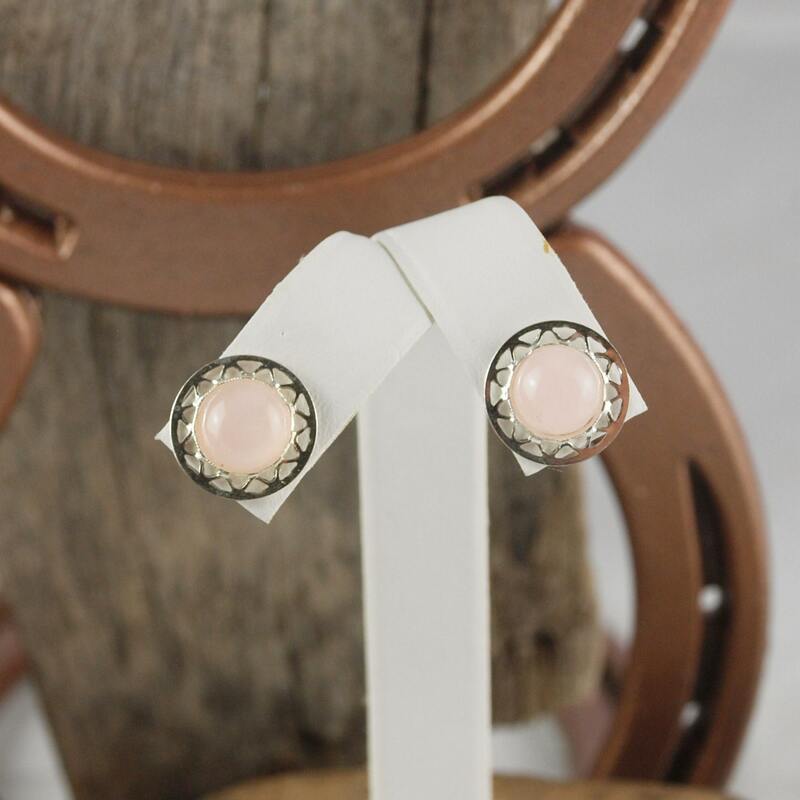 The Rose Quartz stones are 8mm (5/16") in diameter and the earrings are 13mm in diameter. 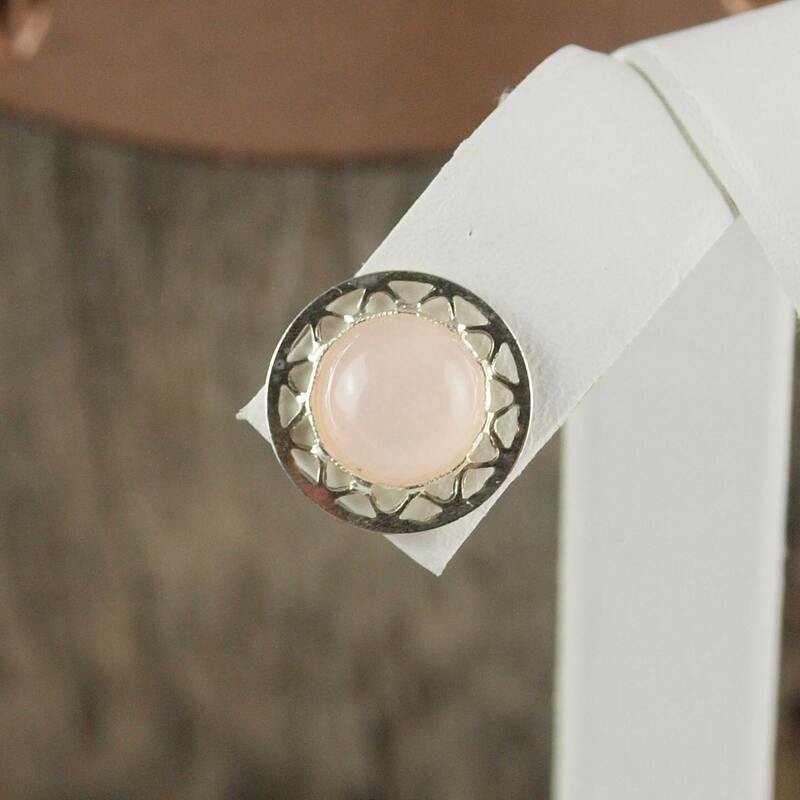 The Rose Quartz stones were worked by hand in our workshop in Montana! 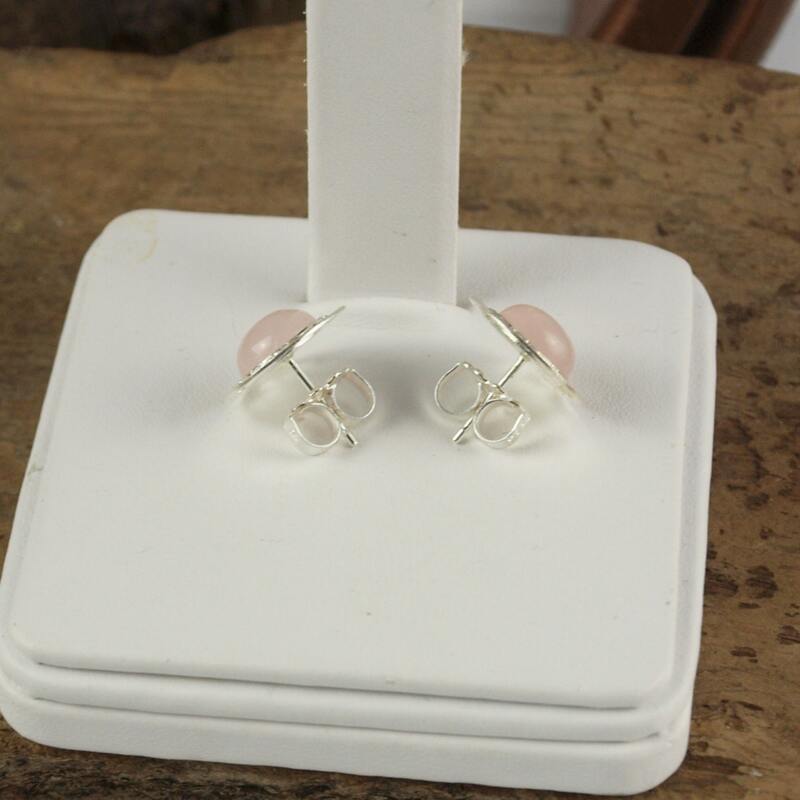 The silver settings set off the pink of the stones wonderfully. 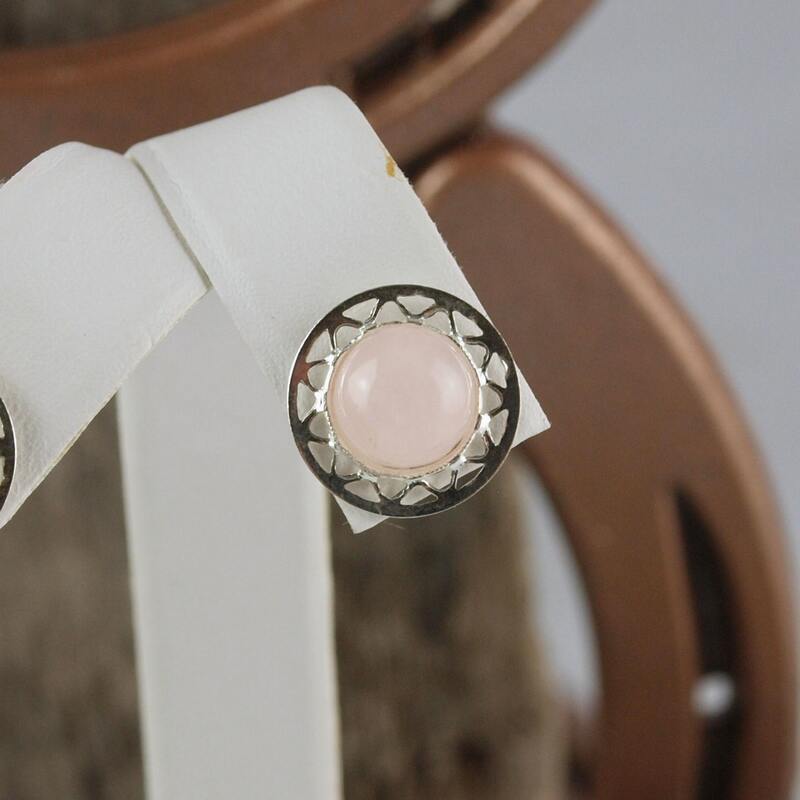 The delicate Rose Quartz pink color of the stones really make these earrings pop! They make a real statement. These earrings would really make a great present when paired with one of our natural stone pendants so don't forget to check them out! As with everything we sell, we will ship your purchase in a beautiful gift box for no extra charge!